Although there have been some scholarly works that discuss its role in peace activism, what has been missing is the important and vital role that New Yorkers played in creating and supporting its efforts to check military training in both higher and secondary education. Of course, resistance to the establishment of R.O.T.C. after the First World War is all but a distant memory to current-day students. Today, the army has approximately 273 units on college campuses and universities, the navy 150, and the air force 77. The number commissioned each year is close to 8,022 with a substantial budget allocated to scholarships, training, and instructors. R.O.T.C.’s presence is rarely questioned by students and faculty. Given the rising costs for higher education, joining the Reserve Officers Training Corps program and the scholarship opportunities it provides, is a very powerful inducement. For many colleges and universities it is an important part of its educational fabric and the monies it receives from the Federal Government adds to its appeal. Even at the high school level, where its popularity dramatically declined in numbers by the 1930s and remained at a steady, but small, level until the 1960s and 70s when the effects of the Vietnam War caused many programs to shut down, it, too, still survives; this is particularly evident in poorer neighborhoods where the military has placed a concerted effort in order to recruit potential enlistees into the All-Volunteer Forces. In the 21 st century there are some 3,223 junior R.O.T.C. units spread throughout the nation’s high schools between the army, navy, air force, and Marine Corps. The number of students enrolled in 2006, for example, totaled 326, 293 and the Department of Defense allocated over $350 million to sustain them. These programs are voluntary and conducted, in most cases, outside the regular state–mandated curriculums. Yet what is most intriguing is that, historically, the establishment of C.M.E. set in motion an energetic campaign that questioned the socialization of minors and college-aged young adults who were being exposed to a culture of militarization. While, apart from military colleges and academies, R.O.T.C. programs at the high school and college level are no longer mandatory, their continued existence poses a very important question: how can the American tradition of civil supremacy survive given the nation’s preeminent position on the global stage — a position demanding an all-powerful military to protect its own national security interests? This issue is still being challenged by educators and peace groups today. Background and Origins of C.M.E. During World War I American military intervention revealed the shortage of pre-trained citizen-officers needed to fill the ranks. In 1920, a National Defense Act was passed by Congress. This new law dramatically expanded the two established programs for preparing reserve officers. The summer-camp-oriented Civilian Military Training Corps and the larger campus-based R.O.T.C. were given more resources and greater publicity. By 1928, despite the antiwar and antimilitary mood of the 1920s and early 1930s, some 225 colleges and universities housed R.O.T.C. units on campus that commissioned close to 6,000 graduates each year, while 100 high schools and academies enrolled nearly 85,000 students in junior programs. Although military drill in high schools was a carry-over from the war years — during the war more than 100,000 boys had been enrolled in the program — the most apparent application took place in colleges and universities after the war ended. Furthermore, in 1926, the U.S. Navy established its own reserve component, the Naval R.O.T.C. with detachments at six colleges and universities. 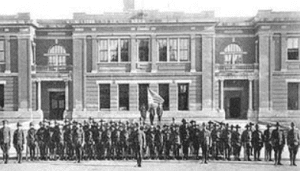 The Committee on Militarism in Education’s establishment in 1925 was in response to World War I’s increasing military influence over American schooling. What prompted peace activists, clergy, and educators to organized their efforts was driven, initially, by previous efforts to introduce military training into public schools. This struck a raw never among many who felt that schoolchildren were not yet adults nor prepared for what the horrors of war entailed. At the same time criticisms were leveled at the compulsory drill requirement at many of the colleges and universities where R.O.T.C. units were established. While not opposed to established military schools and academies, nor advocating their abolishment, C.M.E. was laser-focused on making the public aware of the pitfalls associated with using R.O.T.C. as an instrument for establishing a culture of militarization within civilian schools. C.M.E. primary purpose was to act as a lobbying group seeking legislation prohibiting funds forcompulsory military training courses for R.O.T.C. units. A secondary function was its role as an educational propaganda agency. Leading the way was a number of New Yorkers. Among the organization’s principal figures were John Nevin Sayre, a devout pacifist minister and leading figure in the newly-established Fellowship of Reconcilation’s American branch (founded in 1915 in Garden City, New York), John Dewey, the widely-acknowledged educator and philosopher, whose views on child-centered education became the basis for the progressive education movement in the early years of the twentieth century, Oswald Garrison Villard, its primary financier and grandson of the famous abolitionist, William Lloyd Garrison, son of the suffragette and feminist antiwar activist, Fanny Villard, and liberal editor of the New York Evening Post and The Nation magazine, and Tucker P. Smith, who would succeed the famous activist-pacifist, A. J. Muste, as head of Brookwood Labor College of Katonah, New York, the nation’s most famous residential labor school. Despite a meager budget that rarely exceeded ten thousand dollars during its fifteen-year existence, C.M.E. published a number of notable pamphlets maintaining that military courses, or simply drill, were incompatible with a philosophy of education that sought to promote and cultivate the potential of every student and society’s well-being. Specifically, these pamphlets were designed to inform the public using facts and statistics, not hyperbole. Over eighty-five pamphlets were produced between 1925 and 1940. Some had catchy titles such as Brass Buttons and Education, The Camel and the Arab (an extensive survey of college catalogues listing the various R.O.T.C. curriculums), written by H.C. Englebrecht, co-author of the popular 1934 book that sparked the Nye Committee hearings on the munitions industry, Merchants of Death, and Expel the Trojan Horse to more mundane ones like So This Is War: A Study of Popularized Military Training and The War Department as Educator. A number of them were also reprinted from Congressional testimony, military reports, and speeches as they appeared in the Congressional Record. Others were from news account such as the Des Moines Sunday Register and articles from progressive and religious journals as well as pacifist periodicals, including the Social Service Bulletin, The World Tomorrow, The Witness, and The World Outlook. The C.M.E. pamphlets took an objective look at the situation in order to convince its readership of its position. The tone and substance was educative and, in many cases, relied on news accounts and congressional testimony to drive home its points. Given that it operated primarily on a shoestring budget the Committee also produced for a very brief period a newsletter — C.M.E. News Bulletin or News Letter. The number distributed and content amount was largely predicated on monies raised. The first issue appeared on March 6, 1926 and the last in April of the following year. In the six issues distributed there was the regular appeal for money, stories about student protests against R.O.T.C., some mention regarding military training in foreign countries, and news regarding anti and pro-R.O.T.C. arguments as well as campaigns. In 1932, the Committee decided to revive its news bulletin, though in a less expensive format, Breaking the War Habit. In the backdrop of overseas events, particularly the rise of Hitler in Nazi Germany and Mussolini’s fascist rule in Italy, Breaking the War Habit, generated a larger mailing list and it remained in circulation until near the end of the Committee’s existence. It contained similar information as that previously found in the news bulletin. Apart from the Committee’s propaganda and lobbying role, members also engaged in public efforts to stop the establishment of military programs in schooling. One of the more notable campaigns took place in New York City with the proposed creation of an R.O.T.C. unit at Jamaica High School in Queens County, a borough of New York City. Since the start of the school year in September 1928, more than a hundred boys had participated in military drill after school hours. The attempt was to make it a mandatory part of the regular school curriculum. Things finally came to a head in January and February 1929. That is when Dewey addressed the New York City Board of Education. For nearly a month stories appeared regularly in the New York Times, World Telegram, and Brooklyn Daily Eagle detailing the controversy. C.M.E. was deeply involved in the battle, collecting hundreds of signatures on a prepared statement it developed. The New York State branch of the Women’s International League for Peace and Freedom, along with the alliance of forty thousand members of United Parents Associations of Greater New York Schools, sided with C.M.E. Ultimately, after an open public debate in which twenty speakers, including Dewey, presented arguments for and against the idea to the city’s board of education, it was decided that in keeping with Section 713 of the State Education Law, military training could be conducted after school hours but only as an elective offering; students would have to choose to participate. This confrontation signaled the beginning of the decline in junior R.O.T.C. programs throughout the nation. Depending upon the amount of money available the Committee also undertook a number of speaking tours in various states. 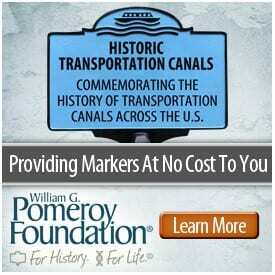 A large number of these tours occurred in the Midwest and South. 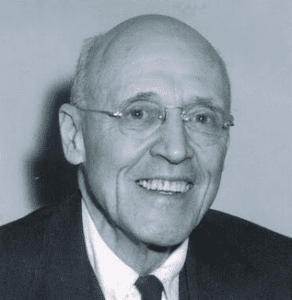 Smith, for instance, spent six weeks during 1929 addressing men’s and women’s clubs, various Granges, fraternal organization, fraternal and religious societies, and peace groups in twelve cities in the Midwest. On various occasions, he presented speeches more than once in the cities he visited. Sayre, moreover, proved to be the workhorse in this endeavor. Undaunted, he toured twenty-three cities in the South where he presented 84 speeches to enthusiastic applause in spite of verbal threats from the Klan and some local American Legion posts. Clearly, critics of R.O.T.C. were scathingly assailed by patriotic extremists; the most convenient label assigned to them was subversive. Accusing them of being Communist sympathizers became a way of clouding the issues these concerned citizens were attempting to publicize. Sayre, for instance, was not allowed to speak at the University of Oklahoma in 1926 based on Lieutenant Colonel Chase Lewis’ letter to the university president, characterizing him as one who “pretends to be strictly religious” but who is “more dangerous than an open communist.” This threat, however, did not deter Sayre from speaking to a packed audience at a nearby Presbyterian Church in Norman. Although Sayre did not wish him any “ill-will,” he was upset at the letter Lewis addressed to the university president and made his feelings known in his own “letter of protest to the President of the United States and gave my story to the New York World.” This incident garnered substantial publicity for C.M.E.’s efforts. The campaign against militarism in education lasted until fall 1940. During the Great Depression it supported the efforts of college students who opposed R.O.T.C. on conscientious grounds, which led to the U.S. Supreme Court’s decision in Hamilton v. Regents of the University of California, et. al. (1934); the Court ruling determined that the constitution does require citizens with conscientious scruples to bear arms. It also questioned the military aspects of FDR’s Civilian Conservation Corps that eventually resulted in greater civilian oversight. On July 9, 1940, C.M.E. sponsored a manifesto of leading educators and peace organizations attacking the proposal to enact the first peacetime conscription law in American history. Some 240 signed the declaration supporting the position that peacetime conscription smacked of totalitarianism and threatened “the spirit of American democracy.” This turned out to be the Committee’s last hurrah. Some weeks later, due to C.M.E. membership becoming increasingly divided over the U.S. position regarding the war in Europe, and with little appetite for continuing the campaign, along with almost no resources left, the Committee’s journey came to an end. Although it did not achieve its main goal of entirely eliminating military training in all aspects of American education, it did win some modest victories on the state and local levels where the compulsory component was replaced with the voluntary, or total elimination altogether, as well as in Congress where funds were denied for a major expansion of R.O.T.C. units. Perhaps the Committee’s most important contribution was furthering the antiwar sentiment that grew out of the disillusionment from World War I. It did so by generating awareness to the issue of military training in education, questioning “federal control of a portion of civil education,” and defending an individual’s conscientious right to object to compulsory drill. 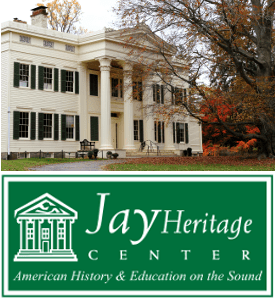 In large measure it was New Yorkers who led the way and, in so doing, set the stage for the ongoing debate in American society as to how to balance the foundations of a democratic education based on openness and tolerance with the established military principles of obedience and conformity. Photos, from above: Leavenworth, KS., Junior R.O.T.C. 1919; C.M.E. 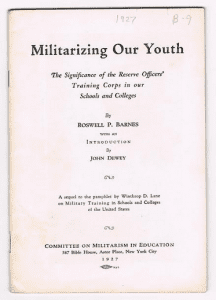 Pamphlet, Militarizing Our Youth, by Roswell P. Barnes, 1927, Committee on Militarism in Education Papers, Swarthmore College Peace Collection; and John Nevin Sayre, Swarthmore College Peace Collection. Chuck Howlett is Professor of Education Emeritus at Molloy College and author of numerous books and articles on American peace and educational history. His most recent book, co-authored with Audrey Cohan, is John Dewey: America's Peace-Minded Educator (Southern Illinois University Press, 2016). In 2006 Choice (American Library Association) awarded his work on the discipline of peace history its Outstanding Academic Title. He continues to serve on the editorial board of Peace&Change.